En bild från juldagen 2011 på Bangkok beer festival. Foto: Anders Thorsell. 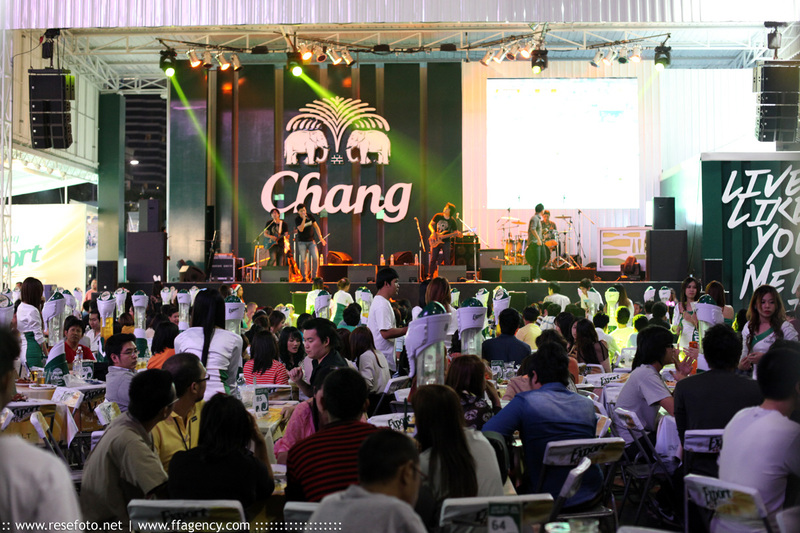 If Germany has its Oktoberfest, Bangkok has Novemberfest… November is the start of Thailand’s annual beer garden season, where tables and chairs are brought out onto the street and Singha, Heineken, and a welter of other beers are available on tap! A lot of places make a tremendous effort to make this time of year a great experience, with many venues setting up a stage and offering live music (including pop and jazz) and spectacular sound and light shows.